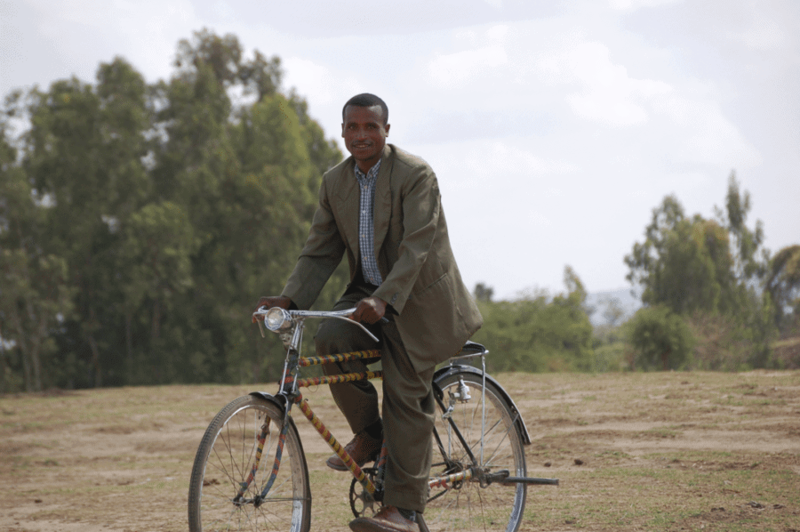 Samuel and his family experienced a miracle because their village was reached by a Cityteam Disciple Maker who traveled a great distance on his bicycle to bring them the message of the Bible. “I was going to lose everything. My wife was about to have our baby and things weren’t going well. It was clear that both her life and my child’s life were in danger. Everyone in the village thought that both of them would surely die because I did not have enough money for a doctor. I started searching for someone who would buy my goat. The goat was my only source of income, but I needed the money to pay for my wife to be transported to the hospital. Then I remembered there was a man who was visiting my village who talked about a powerful God. I had never heard such teachings before; he spoke about the love of God. I believed that his God could heal my wife, so I found the man and he agreed to come and pray for her. After almost an hour of prayer, my wife safely delivered our child.